It’s full speed ahead with the ASICS GEL-DS trainer 24 women’s running shoes, the ultimate shoe for runners who like to live life in the fast lane. A premium knit upper works in conjunction with our underlay support system that gently envelops the foot, for comfort that allows you to reach your best times yet. And it doesn’t stop there, as the responsive and lightweight FlyteFoam Lyte midsole provides an extra boost in support that will have you feeling like you’re walking on air. 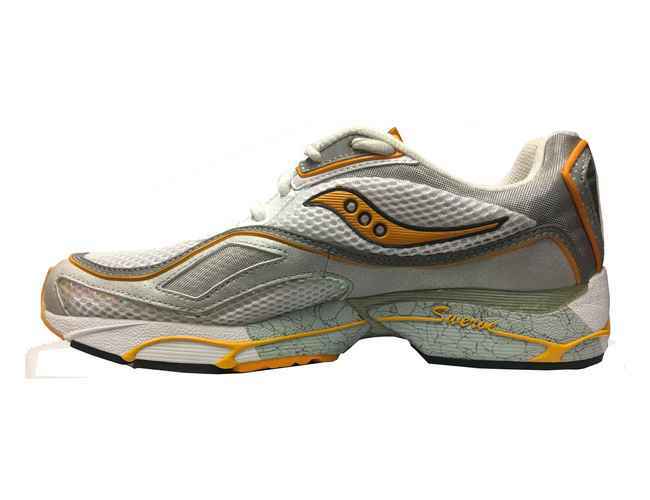 A dual-density Duomax midsole and reinforced EVA trusstic add to the stability of this shoe, keeping you in your natural line of motion and making it a great choice for runners whose feet tend to roll inwards. The ASICS High Abrasion Resistance rubber outsole is a tough compound used in heavy contact areas, making this a durable shoe. Made with a knit construction to offer a breathable feel that reduces moisture and keeps your feet fresh when you’re smashing those personal bests. The GEL-DS trainer 24 is a dream for speedy runners, offering you that extra level of comfort and support you need when you’ve got your eyes on the prize.